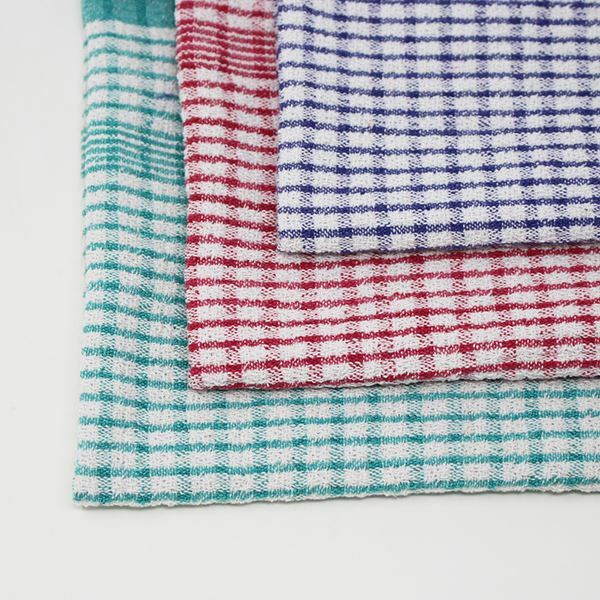 Wonderdry cotton woven tea towels sold in packs of ten. Great washers and customers tell us they withstand high temperatures without too much shrinkage. Don't use fabric conditioner when washing these tea towels to get the maximum absorbancy. Unfortunately these tea towels are not absorbent at all. They are called 'wonderdry' but the only reason I can think of being named thus is because they keep dry themselves but nothing else - they don't dry anything even cutllery, glasses etc. I normally love the Out of Eden products but I'm afraid I've been left hugely disappointed this time - Out of Eden - Our customer has been given a full refund for the towels. They look and feel good. Time will tell how they stand up in our Café. good quality wash well good size. I washed them before use and NO colour run. These Tea Towels have a good quality feel and dry things well. Very pleased with them. Nice looking and good drying cloths but be warned, these tea towels are not colour fast! Colour runs, not particularly absorbent and leaves fluff on crockery.